HeliOperations was delighted to host a CV 22B Osprey from the USAF’s 7th SOS based at RAF Mildenhall. This astonishing tiltrotor aircraft combines the vertical takeoff, hover and vertical landing qualities of a helicopter with the long-range, fuel efficiency and speed characteristics of a turboprop aircraft. The USAF’s CV 22 and the USMC’s MV 22 variant have revolutionised SOF and littoral aviation operations. 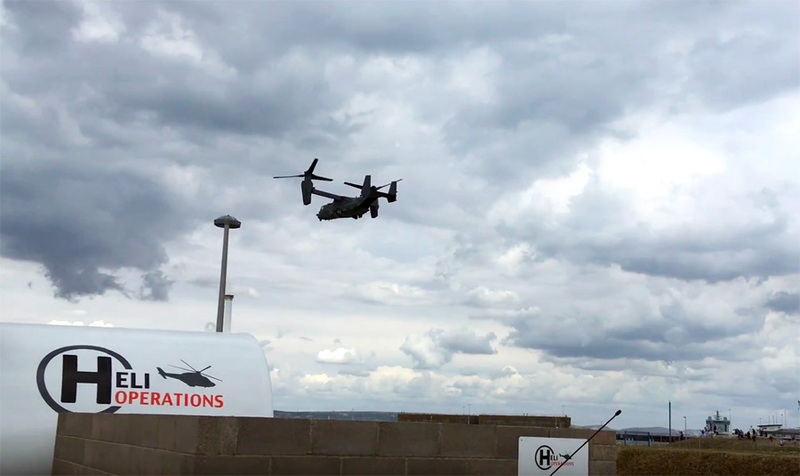 HeliOperations hopes this visit signifies a long and warm relationship with our tiltrotor cousins.